It’s a question everyone who buys car insurance has to ask themselves: What coverage do I need on my auto insurance policy? Short answer: Your insurance company or agent is best equipped to help you answer this question, but you shouldn’t disregard your own concerns, financial situation, and tolerance for risk. Nobody can predict where or when a loss will occur—or how severe that loss will be. (That’s why we have insurance, after all.) You can, however, put coverage in place that is more likely than not to give you adequate coverage for the risks you face. What car insurance coverages are required? 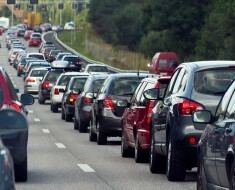 Most states require drivers to carry minimum limits of liability coverage. These minimum limits may or may not be right for you—it’s best to talk with your insurance company or agent to make sure. 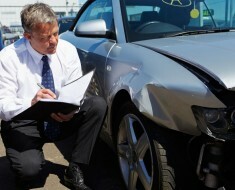 After all, liability coverage will only pay claims for other parties if you cause an accident. And even if that’s all you think you want to be protected from, the state-required limits might not be enough to fully protect you financially in the event that the accident you cause is more severe. Your lender or leasing company for your car might also require additional coverages or higher limits. Even if you do not finance or lease your car (if you own a more recent model, for instance), comprehensive and collision coverages are a good idea. But, beyond what’s required, it’s up to you to decide what events you want to protect yourself from and how much risk you’re willing to expose yourself to. What claims are most common for insurance companies? Every insurance company will see a unique mix of claims depending on the clientele it serves. In general, traffic accidents are one of the more common claims—with windshield (glass) damage, theft, vandalism, and collisions with animals also being among the most common claims insurance companies see. The “I wish I had the right insurance” face. Your individual circumstances are important when considering what types of claims you might be most at risk for, which will help you figure out what level and types of coverage are right for you. If you live in a safe, quiet neighborhood, for example, and your car is always garaged, you might be at less of a risk of vandalism or theft. Often, the rates you pay for your car insurance will reflect these things, but your policy will not automatically include coverages for things like vandalism or theft unless you add them. Your insurance company or agent is best equipped to help you answer this question, but you shouldn’t disregard your own concerns, financial situation, and tolerance for risk. Nobody can predict where or when a loss will occur—or how severe that loss will be. (That’s why we have insurance, after all.) You can, however, buy coverage that is more likely than not to give you adequate coverage for the risks you face. If I got into an accident tomorrow, how much could I afford to pay out of pocket? Do I have significant assets (house, savings, investments) that I want to protect? What types of losses do I want to make sure I’m covered for? Will my car be parked out on the street a lot? How important is peace of mind to me? Do others depend on me to be responsible—maybe even overly cautious—with my finances? How much do I trust the drivers I share the road with? When it comes to car insurance, we recommend erring on the side of over-protection if you’re uncertain how to answer some of these questions. Sure, sometimes it seems hard to justify paying that premium, particularly if you’ve never had a loss. But if you suddenly are confronted with the loss of your savings or your house due to a judgment against you for an accident you caused, or have to foot the bill for a brand new car because you didn’t think comprehensive or collision coverage was worth it, you might have second thoughts. Car insurance is one of those things you hope you’ll never have to use, but when you need it, you’ll be glad you made the investment.